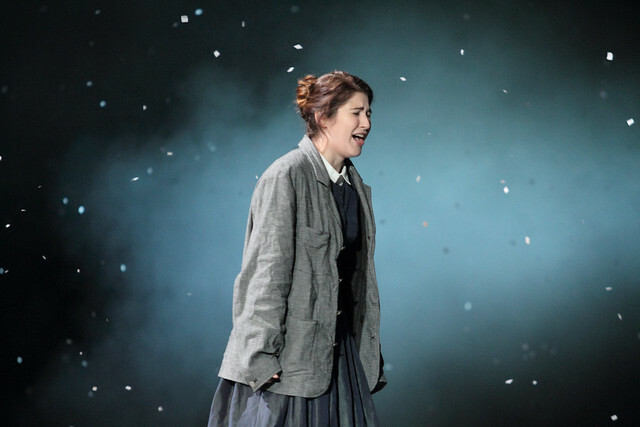 Nicole Car as Mimì in La bohème, The Royal Opera Season 2017/18 © ROH 2017. Photograph by Catherine Ashmore. Due to illness, Romanian-born British soprano Simona Mihai will not sing the role of Mimì in this evening’s performance of La bohème. The role will be sung instead by Australian soprano Nicole Car, who is also scheduled to sing the role on 7 October. Nicole Car made her Royal Opera debut in 2015 as Micaëla in Carmen and has since sung Tatyana in Eugene Onegin and Mimì for the Company. Recent engagements include Thaïs, Fiordiligi in Così fan tutte, Luisa in Luisa Miller, Countess Almaviva in Le nozze di Figaro, Donna Elvira in Don Giovanni and Marguerite in Faust for Opera Australia, Tatyana for Paris Opéra, Fiordiligi for Semperoper Dresden and Fiordiligi and Tatyana for Deutsche Oper Berlin. Question: who sang Mimi on live broadcast 3rd October?